Innovatively designed and finely crafted for those who demand uncompromising quality and meticulous attention to detail. Over 10,000 sq ft of living space on premium lot with western exposure. The stone exterior with gated circular drive and limestone terraces combine to create an undeniable presence. You're greeted by opulent luxury as you enter the home through glass double doors. 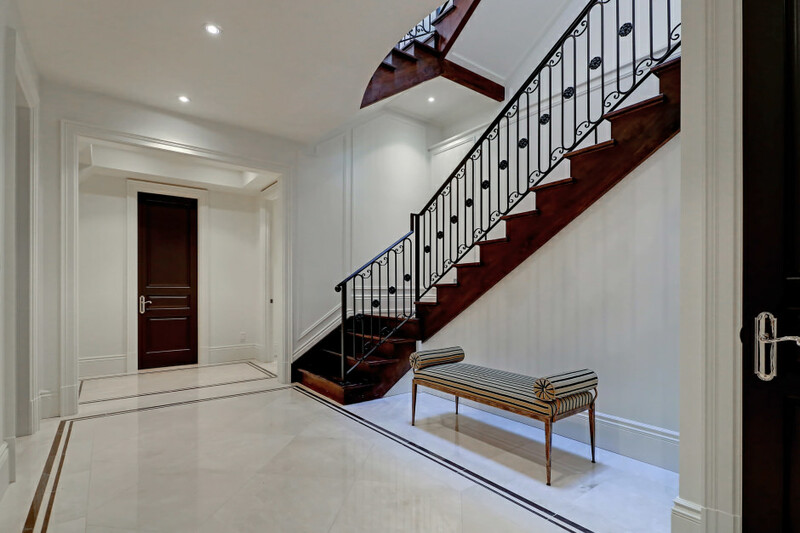 The main level offers heated marble hallway floors with custom inlays, intricate ceiling and wall details, a stunning staircase with wrought iron railings, and an elevator. 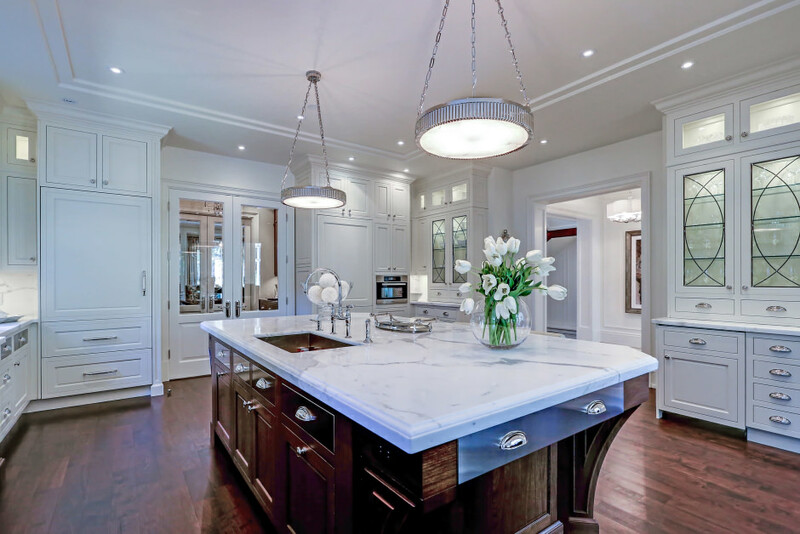 Custom kitchen by Downsview is adorned in Calcutta extra slab marble counters and backsplash, while the cabinetry is accented with stainless steel. The great room offers 16' ceilings, floor-to-ceiling windows, black walnut hardwood flooring, and Town & Country fireplace. Fold-away patio doors open to the screened-in covered porch, further extending the living area in this grand space. The main floor master bedroom offers vaulted ceilings, dressing room with showcase cabinetry, and a sprawling, indulgent marble ensuite. A main floor office engulfed with black walnut cabinetry and wall panelling as well as a formal dining room and mudroom with secondary laundry complete the main level living area. The upper level features a bright skylight, a walk-in linen closet, and 3 additional bedrooms, each with ensuite privileges. The fully loaded lower level features 4,280 sq ft of living space, with a sophisticated billiards room with custom walnut bar, an entertainment room with 132" screen, exercise room, wine tasting room with walk-in cellar, office, 5th bedroom, laundry room and ample storage space. Professionally landscaped front and rear gardens complete with custom gunite pool & hot tub with fire and water features, full landscape lighting, irrigation system, limestone patio and walkways and an outdoor cabana featuring a 2-piece bath and sauna. This property is situated South of Lakeshore on a coveted street within a short stroll of all downtown Oakville has to offer. Close to renowned independent schools; short commute to downtown Toronto via nearby GO Station or highways.